MONTRÉAL, Feb. 5, 2018 /CNW Telbec/ - REZ Real Estate is leveraging the festive and rhythmic ambiance at the heart of the IGLOOFEST festival to launch YIMBY, a new residential project adapted to the values and lifestyles of Generation Y (the millennials). YIMBY, which was designed by and for millennials, will be available in Rosemont les Quartiers in July 2018 and at the District Union real estate project in Terrebonne (www.districtunion.ca) in the summer of 2019. "Our goal is to service the residential housing needs of all generations and to enable them to flourish," said Patrick Préville, director of public relations at REZ Real Estate. Millennials will be well-served by YIMBY's smart, compact and modular spacing. 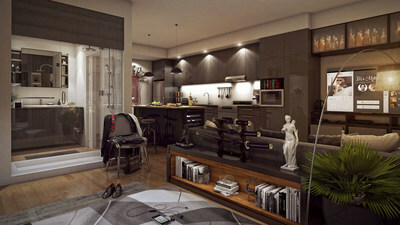 This real estate concept, which was designed with Generation Y in mind, will be based on community, sharing, socializing and networking." REZ Real Estates' two first YIMBY projects will require close to $100 million in new investments. These include $33 million for Rosemont and $60 million for Lachenaie. 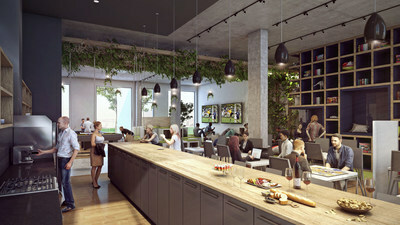 The two YIMBY projects, which will be made up of smart, compact and modular spacing, will also include common areas that facilitate social interactions such as a lounge, collaborative kitchen, co-work and game areas and so on. Millennials will also have access to "pet washing" and indoor car/bike parking facilities (see the project's technical sheets). 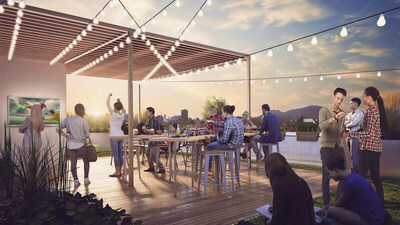 The official launch of YIMBY, which follows in the wake of the real estate group's inter-generational Lachenaie project announcement, comprises a new step that demonstrates Réseau Sélection's will to offer lifestyles that enable all generations to flourish. "Our expertise stems from close to 30 years of experience in developing projects that are adapted to generational lifestyle needs," said Préville. "These include retirees, millennials and soon…families and boomers." Réseau Sélection has been developing and managing residential projects for close to 30 years. A pioneer in the field of retirement communities, today Réseau Sélection is the leading private player in this sector in Canada. The company has a unique vertically-integrated structure, which facilitates both geographical and product diversification.